Oryana is a freelance journalist, blogger, media trainer and copywriter with 15-years-experience in the Australian and international media. Her articles have been published in a wide range of media including The Australian, The Jerusalem Post, New Zealand Herald, Sydney Morning Herald, The West Australian, The Courier Mail, Adelaide Advertiser, Body + Soul and many more. 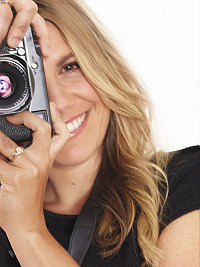 Oryana is a freelance journalist, blogger, producer, director, media trainer and copywriter with more than 15-years-experience in the Australian and international media.